No organization is safe from a cyberattack – chances are, you’ve experienced something in your organization over the last few years. A security assessment helps you discover hidden vulnerabilities, identify critical steps to remediate gaps in your network security, and build a plan for your organization. At TQ, we understand that security is a 24 x 7 job and that security threats are ever changing. That’s why our security assessments are designed to provide our customers with the knowledge and plans they need to protect their organizations. vulnerability scans, penetration testing, web application assessments, strategic security assessments, and more. Penetration testers simulate the tactics, techniques, and procedures of real-world attackers to identify vulnerabilities in your existing systems. Unlike many penetration testing services that simply run a software scan, TQ provides a service rooted in a proven and defined methodology to ethically exploit your network. A comprehensive vulnerability scan is the best way to identify what is on your network today. These scans identify machines and services running on your network and then define, classify, and prioritize vulnerabilities found among them. Because vulnerabilities are introduced to your environment every day, the frequency of testing your network should reflect your organization’s risk tolerance. A strategic security assessment is your organization’s chance to learn its own cybersecurity strengths and weaknesses. The assessment includes a review of the areas below. Web applications are often necessary and cost-effective tools, but because they’re Internet facing, they increase your organization’s vulnerability. 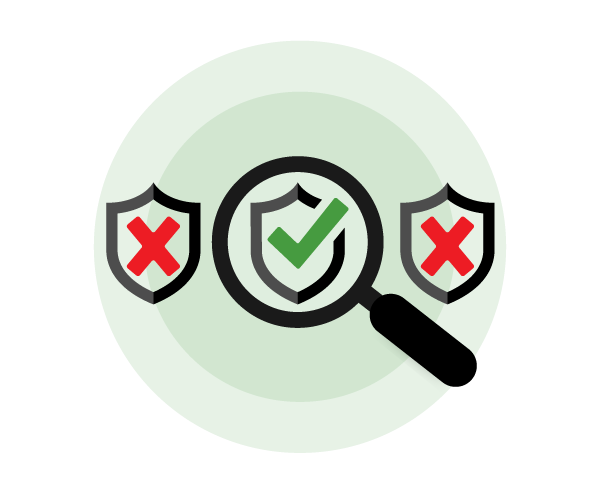 If you’ve invested in your own in-house web application, ensure its security with a full application evaluation. If you have other specific security needs that are not met by the options listed on this page, TQ would like to work with you to build a custom assessment option. TQ can also provide services to assess compliance to specific regulatory standards such as NIST, HIPAA, PCI and more. Get in touch to speak with our team and start your custom assessment today.